Visit Sutter’s Fort State Historic Park and enjoy a very special Hands on History event, Frontier Farm to Fork! 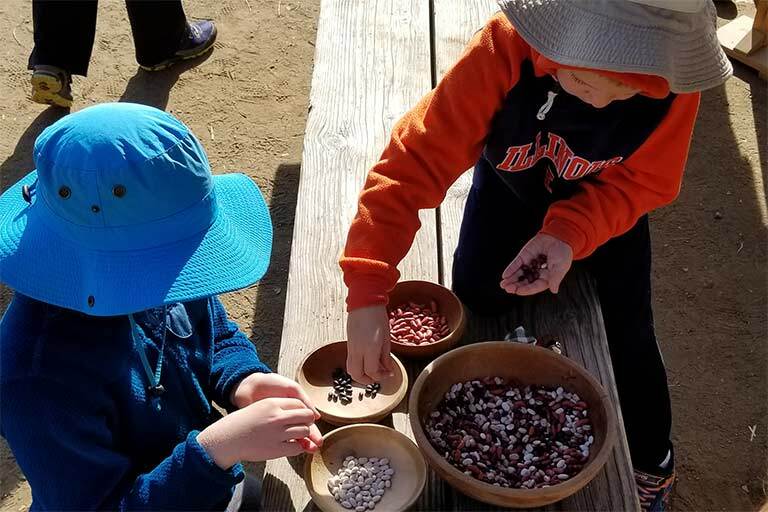 Fort visitors will have the opportunity to step back in time to the 1840s and learn about the agricultural empire Sutter set out to build at Sutter’s Fort State Historic Park. Visitors will learn about the produce grown in and around Sutter’s Fort, and the importance of the livestock industry at the time. In addition, guests will learn about the other goods manufactured and traded by those who worked at Sutter’s Fort. To kick off the day, Friends of Sutter’s Fort will be hosting a Flapjack Breakfast at the Fort. Tickets to the Flapjack breakfast will also include entry to the Frontier Farm to Fork event. Our talented Sutter’s Fort docent volunteers will provide many hands on learning stations appropriate for all ages throughout the Fort. Make a corn husk doll, grind grain, learn to lasso, sample fresh butter and bread baked in out outdoor oven. Admission to this special event at Sutter’s Fort SHP is $7 per adult (18 and older), $5 per youth (ages 6 to 17) and is free for children 5 and under (regular admission pricing is $5 per adult, $3 for youth).